Hey there Karmastream lovers! In this article I’m going to show you How To Decorate Your Glass Cabinets In Extraordinary Ways since they are so fancy and glam. 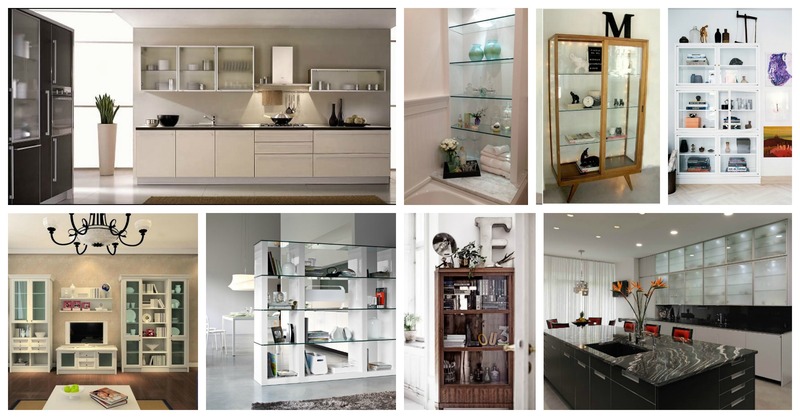 Glass cabinets have been a part from our homes since long times, and they are not going away anytime soon. Glass is considered a gentle and fragile material, but makes our homes look super modern and sophisticated. If you are thinking about adding them into your home, the photos below will prove you right. Check them out and see where in the home you can add them and how you can decorate them! When you think about glass cabinets, probably you think about kitchen ones. Well, the kitchens with glass doors look extra sophisticated and elegant and you shouldn’t have second thoughts if that’s the style you want to convey in your cooking area. 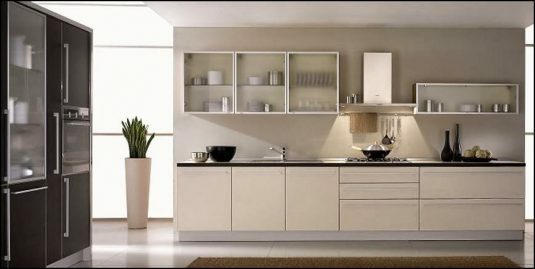 Kitchen glass cabinets mean that you have to be an organized person who hates mess and clutter. The dishes and glasses should be placed in a perfect order. If you are not the type of person who will do that, but you still prefer to have glass doors we suggest you to take of the glass that is not see through! 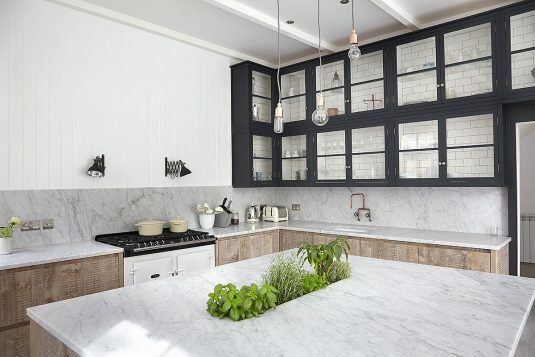 Don’t these kitchen look just amazing? Use the power of glass to create some spectacular designs. 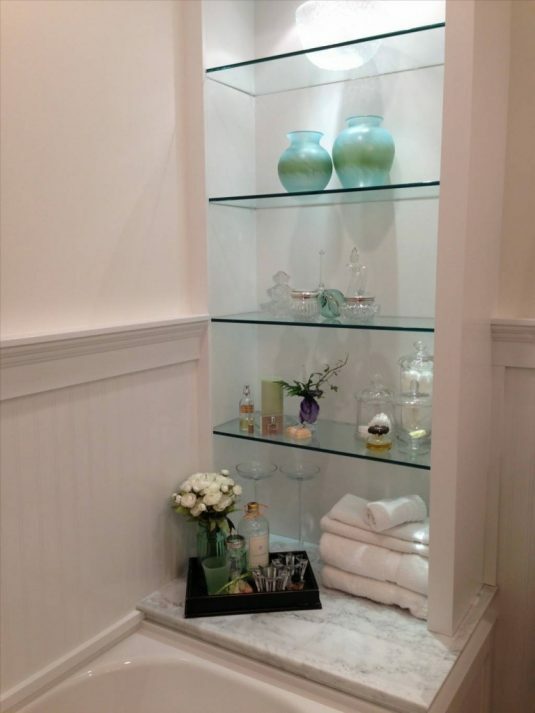 You can have the glass cabinets in the bathroom too since this is the most durable material for this room. You can choose whether you like to have doors to prevent it from dust, or leave them just open as shelves. It’s up to you! 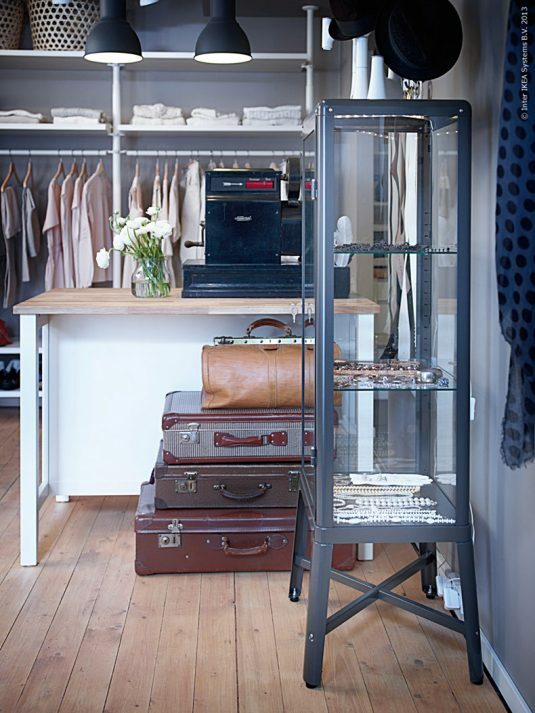 If you are planning on opening a store, the glass cabinets are just perfect for you especially if you are selling jewelry. In this way it will be easy to see all of the fabulous pieces, yet you will save yourselves from the trouble to clean the dust every day. 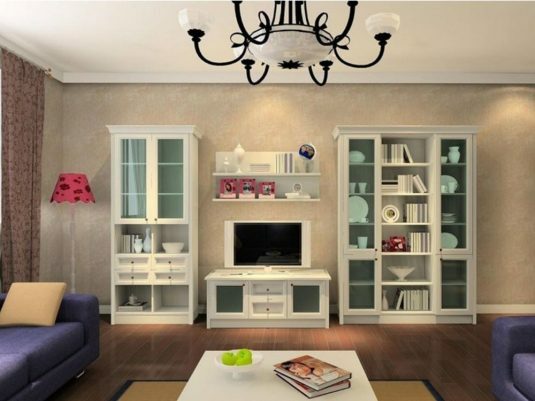 What do you say about glass cabinets in the living room? I just adore them since there are plenty of opportunities to decorate them. 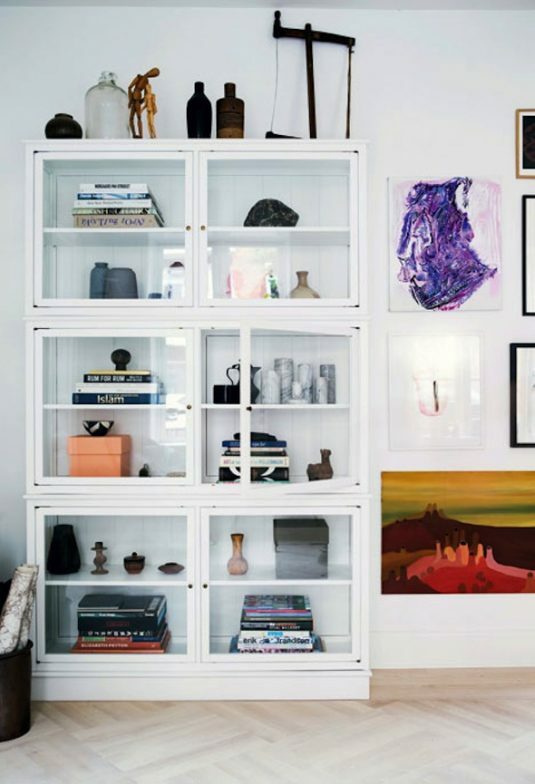 You can display your favorite objects in there and everything can be easily spotted. 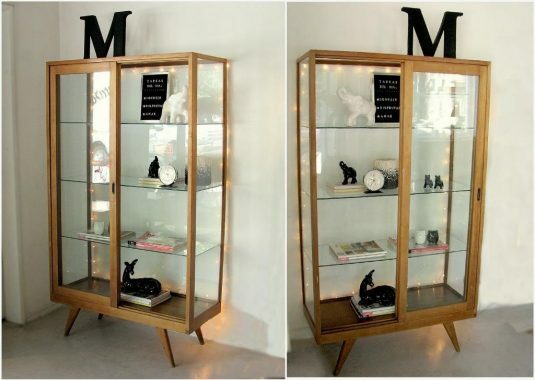 Get some good looking decorations, a unique clock and some letters and get this glamorous look of the glass cabinet. It looks so edgy and sophisticated. What do you think of it? 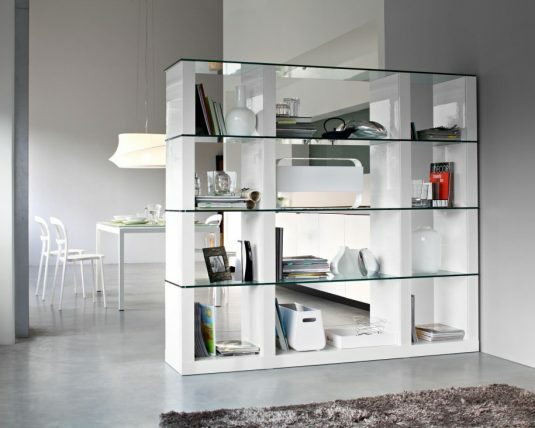 The glass cabinets can serve you as room dividers as well, so it’s good to have them in mind. You are going to love this way to separate two rooms since you will get extra storage space! 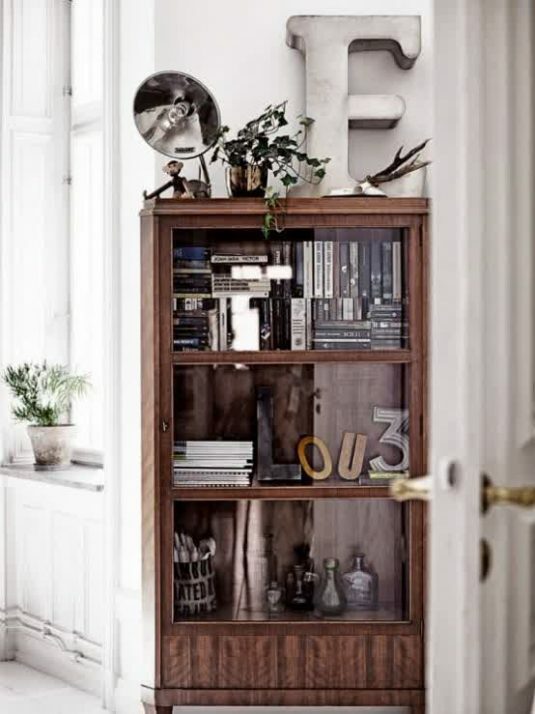 It’s time to create your small personal library in a glass cabinet! 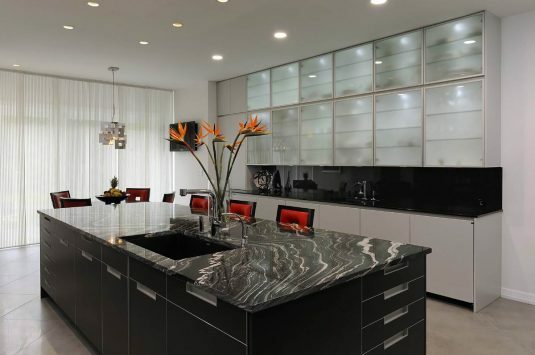 The glass cabinets are also great about storing your exquisite dishes and plates, so you may even think about placing these cabinets in the dining room too. What do you have in mind already? Let me know in the comments below!